Access to Justice as a right “Tuna sauti” meaning ‘we have a voice’ is an advocacy program that amplifies the voices of the marginalized communities hosting extractive industries to advocate for and access to clean environment and socio-economic justice. The project was implemented in Owino Uhuru community in Mombasa County. 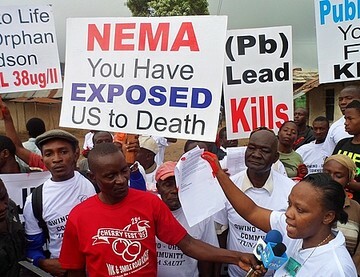 The community suffers the repercussions of lead poisoning after a secondary recovery of lead-acid battery smelter opened its doors in 2008.